The New Horizons probe made history in July of 2015, being the first mission to ever conduct a close flyby of Pluto. 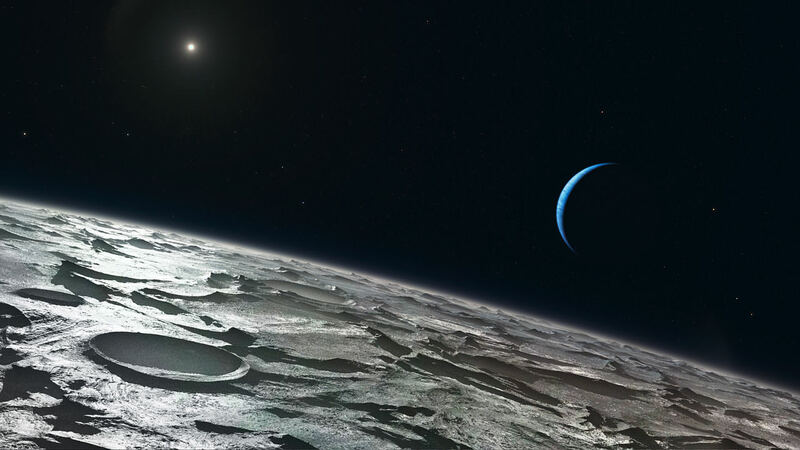 In so doing, the mission revealed some never-before-seen things about this distant world. This included information about its many surface features, it’s atmosphere, magnetic environment, and its system of moons. It also provided images that allowed for the first detailed maps of the planet. Having completed its rendezvous with Pluto, the probe has since been making its way towards its first encounter with a Kuiper Belt Object (KBO) – known as 2014 MU69. And in the meantime, it has been given a special task to keep it busy. Using archival data from the probe’s Long Range Reconnaissance Imager (LORRI), a team of scientists is taking advantage of New Horizon‘s position to conduct measurements of the Cosmic Optical Background (COB). The COB is essentially the visible light from other galaxies which shines beyond the edge of the Milky Way. By measuring this light, astronomers are able to learn a great deal about the locations of stars, the size and density of galaxies, and test theories about the structure and formation of the Universe. This is no easy task, mind you, as any measurements conducted from inside the Solar System are subject to interference. Whereas Earth-based telescopes experience interference from our atmosphere, space-based telescopes have to contend with the brightness of our Sun. In addition, interplanetary dust (IPD) has the effect of scattering light in the Solar System (known as Zodiacal Light) which can also obscure light coming from distant sources. But a probe like New Horizons, which is well into the outer Solar System, is not subject to such interference. Hence why a team of researchers from the Rochester Institute of Technology (RIT), John Hopkins University Applied Physics Laboratory (JHUAPL), UC Irvine and UC Berkeley, chose to use its data to measure the COB. Their study, titled “Measurement of the cosmic optical background using the long range reconnaissance imager on New Horizons“, was recently published in Nature Communications. For the sake of this study, the team analyzed LORRI data obtained during NH’s cruise phase between Jupiter and Uranus. After using data from four different isolated fields in the sky (captured between 2007 and 2010), the team was able to obtain a statistical upper limit on the optical background’s brightness. Their results also showed that earlier measurements conducted by Hubble’s Wide Field Planetary Camera 2 were excessively bright (owing to interference). However, their results were consistent with previous measurements that were based on data obtained by the Pioneer 10 and 11 missions. Back in the 1970s, these probes managed to gather data on the Universe while swinging past Jupiter and exploring the outer Solar System. By showing consistency with these results (and other measurements from over the years), the team demonstrated just how valuable missions like New Horizons are. It is hoped that before it wraps up in 2021, that scientists will have a chance to conduct more measurements of the COB. Considering how rare missions to the outer Solar System are, it is understandable why Zemcov and his colleagues want to take full advantage of this opportunity. In other mission-related news, New Horizons probe will be taking a nap as it approaches its next destination – 2014 MU69. On Friday, April 7th, at 15:32 EDT, mission controllers at the John Hopkins University APL verified that the probe had entered hibernation. It will remain in this state for the next 157 days, waking up again on September 11th, 2017, as it makes its approach to 2014 MU69. 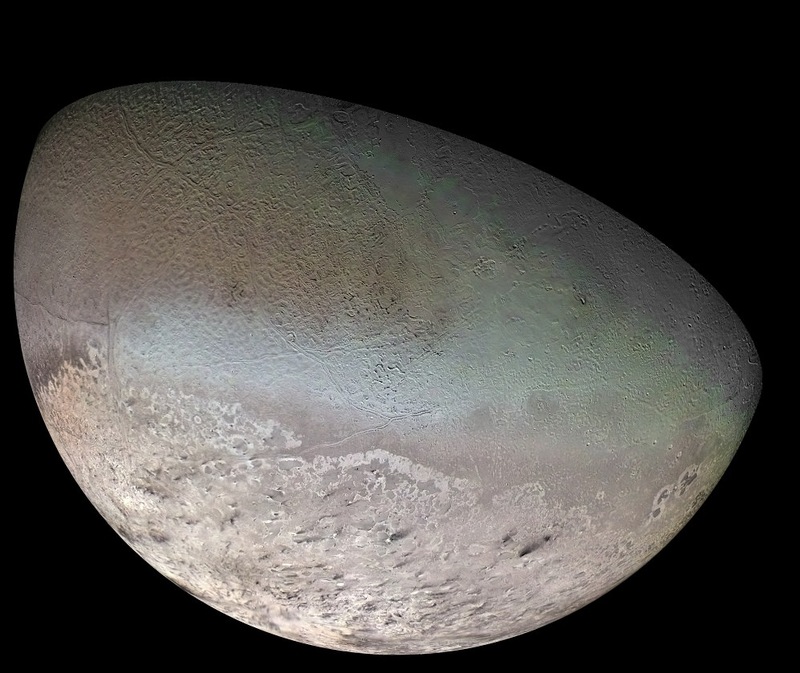 Originally, the New Horizons mission was scheduled to end after its historic encounter with Pluto. However, the mission was extended shortly thereafter to 2021 so the probe would also be able to make some more historic encounters. If, in the meantime, this probe can also shed new light on the mysteries of the Universe, it will surely be remembered as one of the most groundbreaking missions of all time. 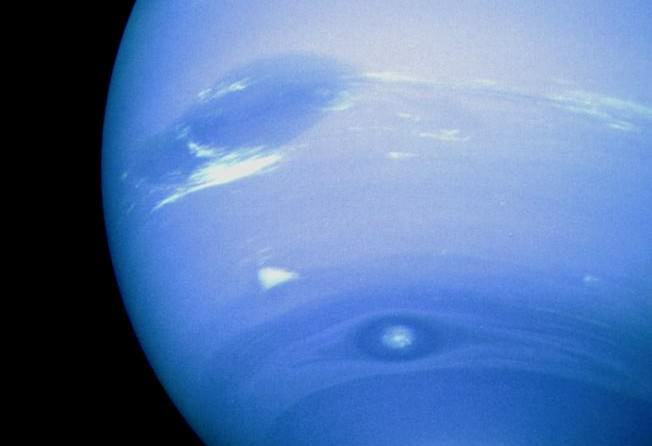 Until recently, Neptune was thought to have 12 Trojans. 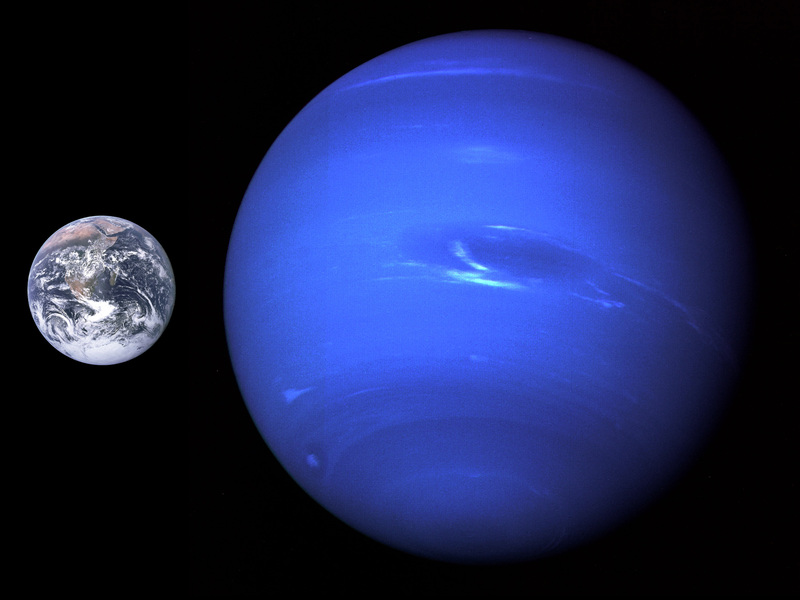 But thanks to a new study by an international team of astronomers – led by Hsing-Wen Lin of the National Central University in Taiwan – five new Neptune Trojans (NTs) have been identified. 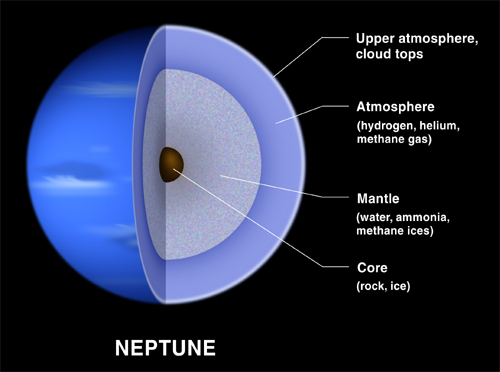 In addition, the new discoveries raise some interesting questions about where Neptune’s Trojans may come from. For the sake of their study – titled “The Pan-STARRS 1 Discoveries of Five New Neptune Trojans“- the team relied on data obtained by the Panoramic Survey Telescope and Rapid Response System (Pan-STARRS). This wide-field imaging facility – which was founded by the University of Hawaii’s Institute for Astronomy – has spent the last decade searching the Solar System for asteroids, comets, and Centaurs. The team used data obtained by the PS-1 survey, which ran from 2010 to 2014 and utilized the first Pan-STARR telescope on Mount Haleakala, Hawaii. From this, they observed seven Trojan asteroids around Neptune, five of which were previously undiscovered. Four of the TNs were observed orbiting within Neptune’s L4 point, and one within its L5 point. The newly detected objects have sizes ranging from 100 to 200 kilometers in diameter, and in the case of the L4 Trojans, the team concluded from the stability of their orbits that they were likely primordial in origin. Meanwhile, the lone L5 Trojan was more unstable than the other four, which led them to hypothesize that it was a recent addition. In addition, the results of their simulation survey showed that the newly-discovered NT’s had unexpected orbital inclinations. In previous surveys, NTs typically had high inclinations of over 20 degrees. However, in the PS1 survey, only one of the newly discovered NTs did, whereas the others had average inclinations of about 10 degrees. According to Lin, this difference is significant because the inclination distribution of NTs is related to their formation mechanism and environment. Those that have low orbital inclinations could have formed at Neptune’s Lagrange Points and eventually grew large enough to become Trojans asteroids. On the other hand, wide inclinations would serve as an indication that the Trojans were captured into the Lagrange Points, most likely during Neptune’s planetary migration when it was still young. And as for those that have wide inclinations, the degree to which they are inclined could indicate how and where they would have been captured. In the meantime, Li and his research team hope to use the Pan-STARR facility to observe more NTs and hundreds of other Centaurs, Trans-Neptunian Objects (TNOs) and other distant Solar System objects. In time, they hope that further analysis of other Trojans will shed light on whether there truly are two families of Neptune Trojans. This was all made possible thanks to the PS1 survey. Unlike most of the deep surveys, which are only ale to observe small areas of the sky, the PS1 is able to monitor the whole visible sky in the Northern Hemisphere, and with considerable depth. Because of this, it is expected to help astronomers spot objects that could teach us a great deal about the history of the early Solar System.